Hand Car Washes – Cheap is good Right? 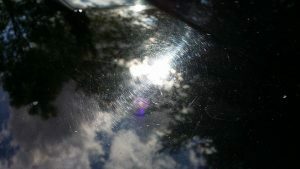 Our good friends at Goldcrest Valeting have put together the following article highlighting the differences between a cheap hand car wash vs professional detailer. There is growing evidence everyday that these cheap hand car washes are not as cheap as they may seem. Now I know some of you reading this may react with “but they do a good job” and “they are cheaper than a professional detailer” and in all honesty some hand car washes do a good job I know of a couple and yes they are cheap. However I have seen many cars in my time that have been subjected to damage caused by phosphoric acid based products being used as a pre-soak on your vehicle. You know the green or sometimes pink liquid that gets sprayed around the lower sections of the car and more often they get sprayed over headlights and delicate trims thats the stuff that causes damage. The main reason acids are used are for speed of cleaning and cost. Hand car washes work on a quantity basis not a quality basis for example a hand car wash will spend around 20 mins at the most cleaning your car where as a good detailer will spend up to a couple of hours on your car for their most basic service. The results may look the same but after going to a hand car wash when you really look at your pride and joy you’ll start to see the tell tail signs of a cheap rush job, such as staining on aluminium trims, swirl marks across the body panels, paint etching from high strength incorrectly diluted products, areas of the car will sometimes be missed, and in one case we have recently dealt with (see image below) a headliner needing replacement due to a pressure washer lance coming into contact with the headliner whilst presumably jetting the door shuts. These are just a few signs of poor workmanship and no attention to detail. The list keeps growing too. 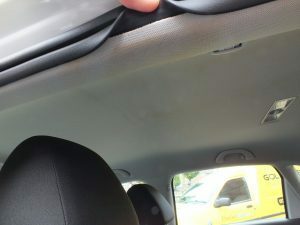 Each day we receive calls that the local hand car wash has damaged someones car. In fact once I even took my own car through one to highlight the damage that can be caused, which I must add cost me a refurb on 1 alloy wheel of my DS3 as they scratched it with the jet wash lance that didn’t have a protective rubber cover over the metal end. Now to put things into perspective a professional detailer such as those found on directories like Pro Valets will charge around £30-£50 for a mini valet which will consist of the same level of cleaning to the exterior and the interior however no professional detailer would leave areas unfinished and certainly wouldn’t be seen using an acid based product unless totally necessary and in which case it would be diluted correctly and used in the correct manner not sprayed all over the car. Ok so £30-£50 is a considerable jump from your £15 at the local hand car wash, but is it really? £15 for 2o mins work or £30-£50 for an hours work. Now factor into that £30-£50 the cost of chemicals the correct level of insurance the running costs of their van/unit, the convenience of a mobile service (if they come to you) and they aren’t really that far apart. Now consider you are also paying that detailer for their knowledge and understanding of their trade, When was the last time you asked a hand car wash attendant about the chemicals ? Was the person working your car able to tell you? or did they give the age old excuse of the boss deals with those sort of questions. If the person cleaning your pride and joy, your investment, your vehicle cannot tell you mere basics of the chemicals or the methodology used then surely you should be questioning if should you really be taking your car there? Another thing that by no means should be overlooked is insurance. Yes thats right Valeter’s Insurance. So let me set the scene you’ve been wanting that certain car for years you’ve saved your hard earned money and finally bought that dream car, be it a Ferrari, a Porsche, a Lamborghini, a Focus RS whatever it is its yours you earned it, you paid for it and no doubt it costs you a small fortune to insure it. So with that in mind would you let anything happen to it? would you let someone uninsured drive it ? I would hope the answer would be no, and if something did happen to it the hand car wash is insured right ? Wrong ! 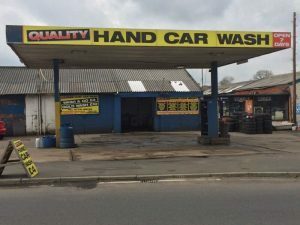 at nearly every hand car wash I have observed they have the good old “Vehicles cleaned here are done so at the owners risk, we shall accept no liability for any damaged caused”. You’ve seen these signs right? This should instantly ring alarm bells this doesn’t just show their level of care it is a sure sign they are only covered for public liability which will not ever cover your vehicle. I carry a high level of insurance that covers me and the car that is being worked upon and I’m not just talking public liability, A professional detailer should and most probably does have this level of cover, meaning you have complete peace of mind knowing your investment is in safe hands. Which brings me neatly to answering the question at the start. Hand car washes are by no means as cheap as they seem. If they cause damage to your vehicle its you left with the repair bill. Take for example my alloy wheel. Perfectly fine before I entered the hand car wash no scratches, no kerb rash, no chips 500 miles on them and 1 trip to a hand car wash and scratched. That hand car wash cost me £96 not them me their response, must have been there before you came in….. So is a hand car wash really as cheap as it seems? I’d safely say with absolute certainty NO.